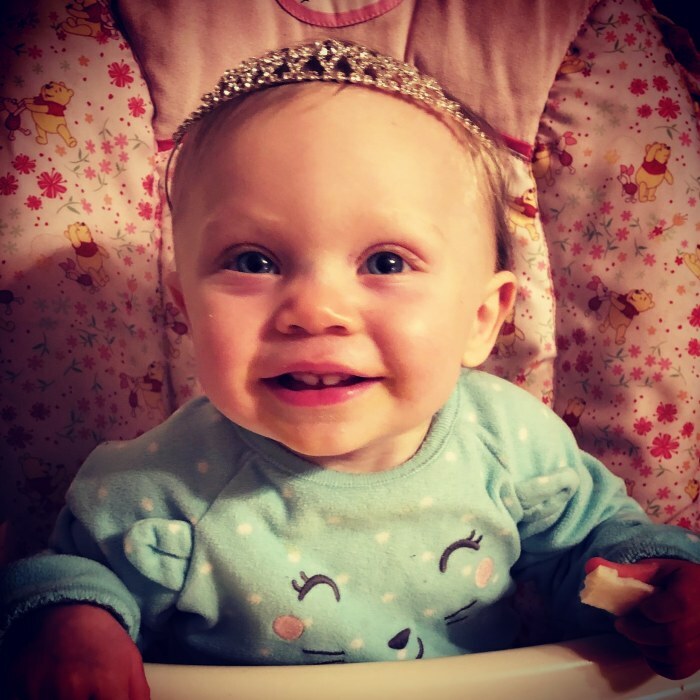 Oaklyn Leigh “O” Owens, 1 year old, of 21 Doolittle Street, Danville, VA, passed away on January 25, 2019 at Roanoke Carillion Hospital. Oaklyn was born on January 17, 2018, in Danville, VA, to John Shore and Danielle Owens. In addition to her parents, Oaklyn leaves behind her siblings Natalie, Madison, and Lauren Shore; Aunts, Gabriella Nance, Brooklynn Shore, Gina Steele, Ashlynn and Maria Willhite; Grandparents, Jamie and Bobby Jarrett, Phillip and Ashley Owens, Brian and Lorrie Shore, Sr., Tonya and Richard Richardson; Great-grandparents, Wendy and Thomas Joyner, Phillip Robertson; Uncles, Brian, Jr. and Tyler Shore; God Parents, Crystal Jefferson and Chris Guill; numerous cousins, great aunts and uncles. A celebration of Life for Oaklyn will be conducted Thursday, January 31, 2019 at 3 pm at Swicegood Funeral Home with Pastor Bill and Pastor Sharon Motley officiating. Visitation will be held two hours prior to the service at the funeral home. The family will be at 4070 Milton Hwy, Ringgold, VA 24586. Swicegood Funeral Service is respectfully serving the Shore/Owens family.